This CHARM IT! 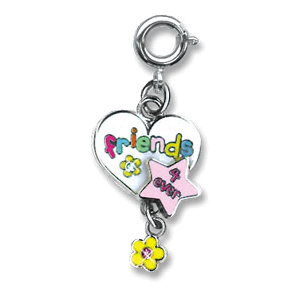 Friends 4 Ever charm is the perfect charm to wear and share with your forever friends. With a glittery white enamel heart, sparkly acrylic stones, and colorful enamel, CHARM IT! 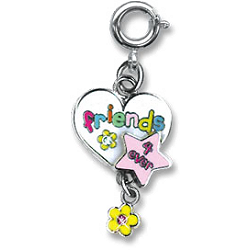 Friends 4 Ever charm will be a cherished reminder of your friendship for years to come. With a simple snap of a clasp, girls can personalize their CHARM IT! jewelry with this CHARM IT! Friends 4 Ever charm.